The last thing I expected to be knitting for our Guatemalan Compassion girl, Esperanza, in the week before we got on a plane to meet her was a baby beanie for her soon-to-be-born child. But there I was, pulling the tiny soft-yellow loops through one another to make a little cap to keep tiny little ears warm in the mountainous Guatemalan countryside. Just a week and one day before we stepped on that plane to Guatemala, the office of Compassion Canada called with the news... Esperanza is pregnant and married, and would be leaving the Compassion program effective immediately. Our reactions moved and ranged from shock to confusion to worry. Yet both we and Esperanza were still very much looking forward to our visit, and we stepped on the plane with expectant and hopeful hearts... knowing that we were headed into a very different culture, one our First World minds would struggle to understand, yet we were determined to try our very best. Fun Fact: I LOVE flying. The length of the drive from Guatemala City to Esperanza's community should have prepared me for how truly far removed her home is from anything I've ever known. Her home sits in a community that is 8 long hours away from Guatemala City. Driving into Cobán, Alta Varapaz, the closest city to Esperanza, a 2.5 hour, $10 bus ride away and where she has been only 3 times in her life (including once during our visit). P.S. Take note of the election posters lining the road... Those would soon be nowhere to be found in Esperanza's forgotten community. It is a community where the water pipes are only turned on once a week and the nearest city, shopping mall and McDonald's sits 2.5 hours away. Even the country's presidential campaign does not reach Esperanza's community. With a fall election looming in Guatemala, we were bombarded with election posters everywhere we went... except for in Esperanza's community. Even the vote-hungry presidential candidates can't or won't be bothered with the people living in this remote region. Our guide from Compassion Guatemala's head office, Ruth, would later express shock at how low both Esperanza and her husband, Hernan's proficiency in Spanish is. At their level of schooling, she said, they should be far more fluent in the country's national language. Within minutes of being face-to-face with this sweet girl for the first time! P.P.S. Notice the kids in the window behind us? My parents with Esperanza, her husband, Hernan, and her mom, Doña Maria. A mutual friend introduced her and Hernan, who is just a year older than Esperanza, at 18. The two, nearing the end of their primary schooling (the highest level of education available to them in their community), with him finishing Grade 6 and her, Grade 4, soon found themselves pregnant and married at 17 and 18 years old... The next "normal" life stage in their community, if you will. Their story, under the lens of First World culture, calls for major edits. And while most people can agree, when presented with theoretical questions, that development and poverty eradication is best carried out in a grassroots, by-the-people-for-the-people manner, I think most of us are still quick to reach for our Western "values" when we hear a story like Esperanza's. The first question in my long list of questions is Will she be able to finish her education? And her community will look back at me with this: Will she be able to finish her subpar, 6th grade education? For what? Well, even a 6th grade education can make all the difference, I'll say. Because I'm a soon-to-be International Development student and I've read United Nations stats, you know. Duh. And I'll be met with are-you-an-alien looks because why would a farmer's daughter, and now, a farmer's wife ever need a 6th Grade education to raise her baby and feed her family? Her mother and grandmother certainly did without one. Well, I'll say, what if she one day has hopes to move to the city and pursue higher opportunities? But you see, my projection of First World culture is fast crumbling because she can't even speak Spanish and finishing 6th Grade certainly won't help that, as evidenced by Hernan, so how would she be expected to survive in a city that has barely even heard of her native Q'eqchi' language? All of this is so far removed from anything I've ever known. And in the world I grew up in, anything removed from what I've always known is wrong. Yes, there are deeply ingrained, systematic issues and problems that are running rampant in Esperanza's community. But so often we mix up what is inequality and what is culture. What is holding a people group back, and what is simply their way of life, something they can't afford to lose. It is truly a fine line, one humanity will always be walking. 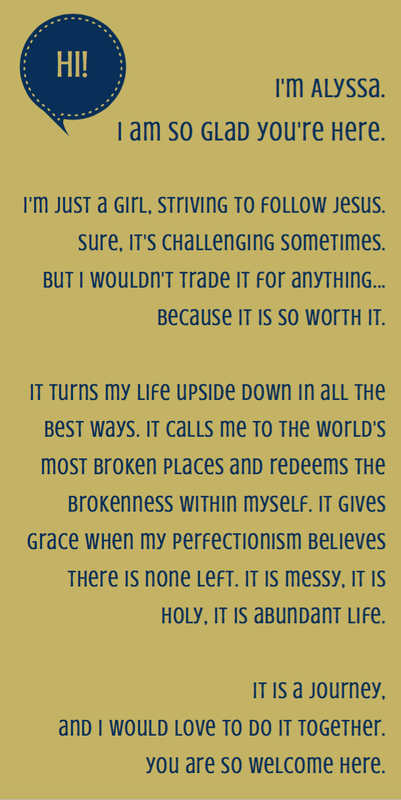 But when it simply comes down to it, what I believe and what I saw makes all the difference is always Jesus. This overwhelming picture I've painted for you above... Man, there is overwhelming hope in it because of Jesus. There's Esperanza's father, who we met when we later visited her home, who asked us to join him in prayer for his family... Because sure, his daughter's story might look different from what he and his wife had hoped when Esperanza registered in the Compassion program, but because of how Compassion and the local church has touched his family, he knows that there is a God who loves his family more than anything. So he prays, and invites us to pray with him. Esperanza's father, Don Juan, Hernan, and my papa. 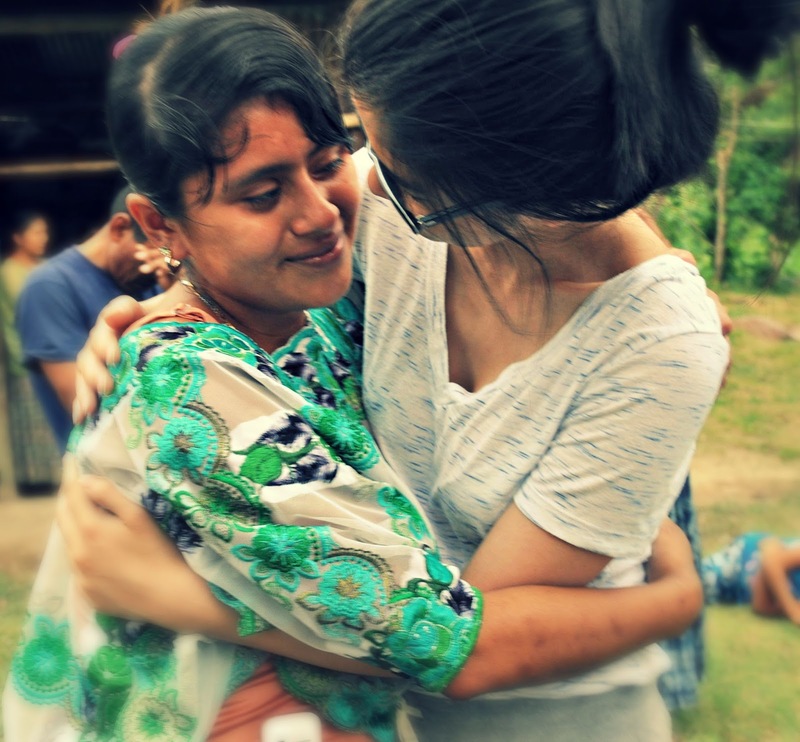 And while Esperanza will be leaving the Compassion program, the local church that has been journeying with her all along will not be leaving Esperanza. That is the beauty of Compassion's program: It works exclusively and closely with the local church so that once a child leaves the Compassion program, they are already a part of a thriving and supportive church community that will journey alongside them for life. Because the reality is that it could take years and years and perhaps even a lifetime before Esperanza's community gains things like quality education and uninterrupted access to clean water. And yes, we will work towards those things with tenacity, because they are basic human rights. But the hope we can offer now - as in right now, at this very instant - is Jesus. The difference between hope and hopelessness is more than education, healthcare and social programs. Just two girls from opposite ends of the world who have the Cross, the Kingdom and the Love of Christ as our greatest hope. This blog post would seriously have no hopeful conclusion without the hope of Christ. And that is why the difference truly is Jesus. That's not a line or a slogan. 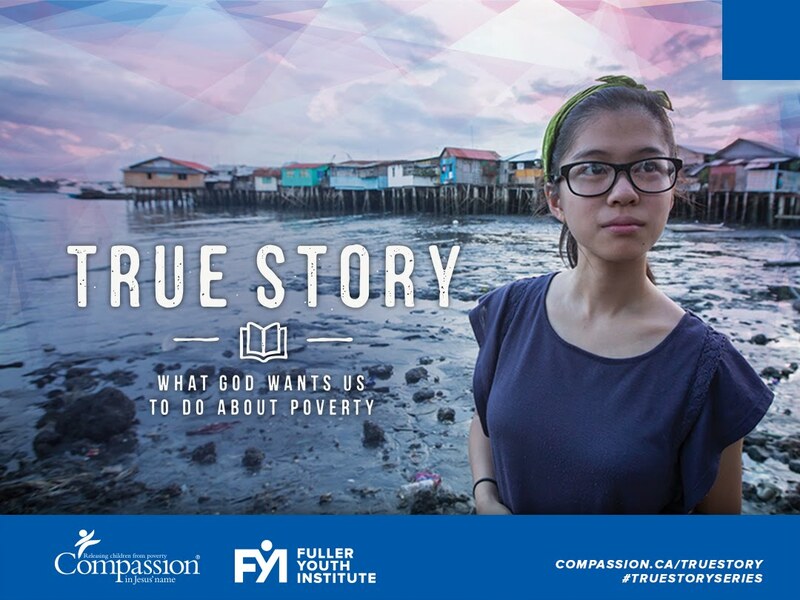 It is the essence of Compassion International's ministry. 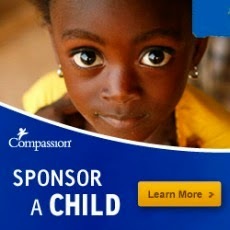 Sponsor a Child with Compassion. No, it doesn't make everything "perfect", by any standard, including in our First World minds. But it inserts hope into the most broken places on this earth in the form of not only education, healthcare, and social programs, but most importantly, Jesus Christ. ps Check out my mama's reflections on this day! pps More photos from our trip to Guatemala can be found on Instagram. Man, that country is so beautiful! I knew when we first met that you had a fire in your spirit and that God was going to use you in a special way. Thank you Alyssa for being true to your calling. This is awesome! Alyssa - thanks for opening up your heart and sharing a bit of it with us. May God continue to give you words that speak into the hearts of others. Beautifully shared. I love how you pointed out that the main life changer is Jesus! We can be so narrow minded with how life should be in our comfy first world lived and yet God doesn't call us to bring everyone into comfort, but to bring His good news. And from there, eventually, long term changes can be found! Thanks, Hannah! And exactly... We also have so much to learn from their simplicity!